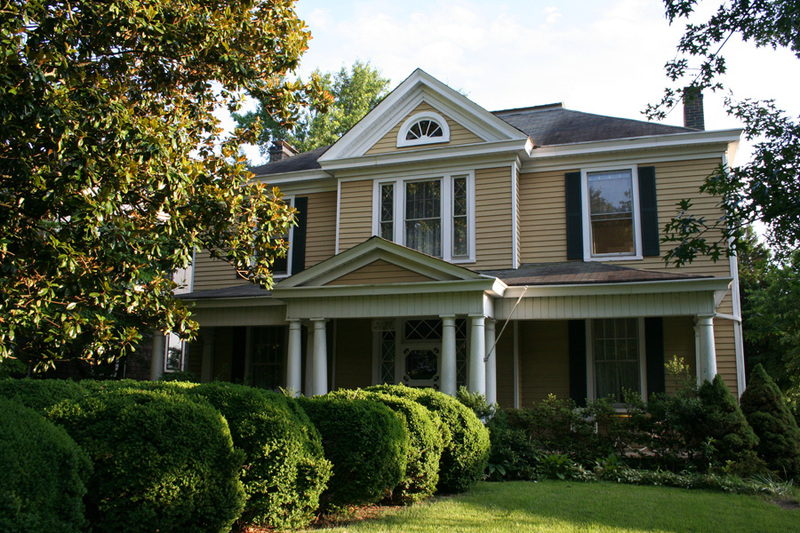 Colonial Revival. 2-story, 3-bay hip-roofed frame house with projecting 2-story pedimented bay. 1-story front porch has clustered Tuscan columns. Door has multilight transom. Deck added to the rear. Aluminum siding covers the outside. There is a secondary building: 1-story, frame garage at rear is recent addition to property.